another miniature went over my table. 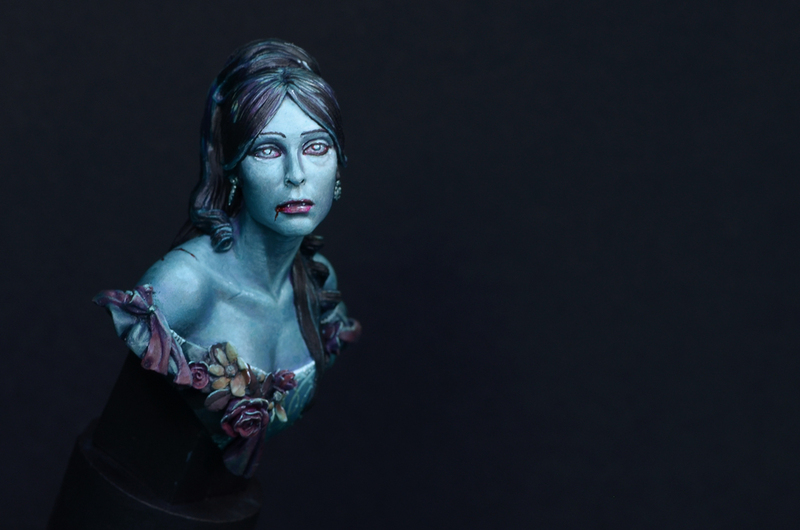 This time a bust by Fer Miniatures. 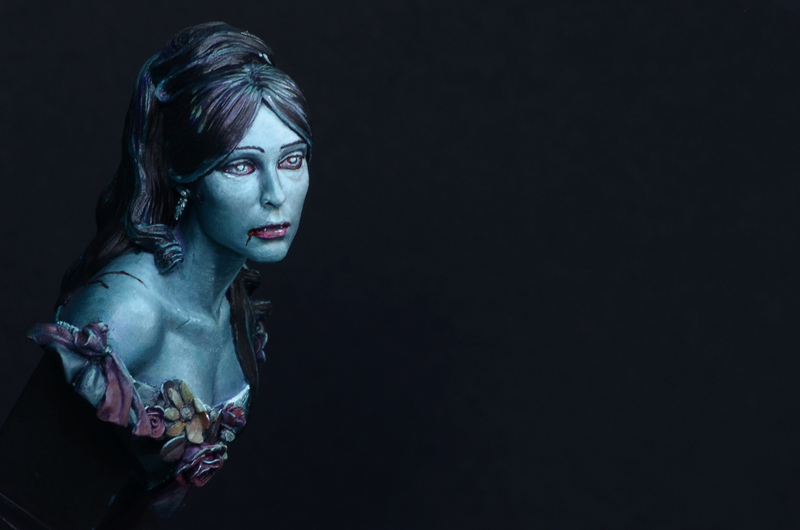 I call her "Forever Young" and for me the paintjob on her is nothing special, just a little relaxation paintwork and my personal interpretation of a female vampire who does not care about time. Why there is time I am saking myself? Well, time was invented due death. Death gives life a timeframe. Why don't they stay young? " 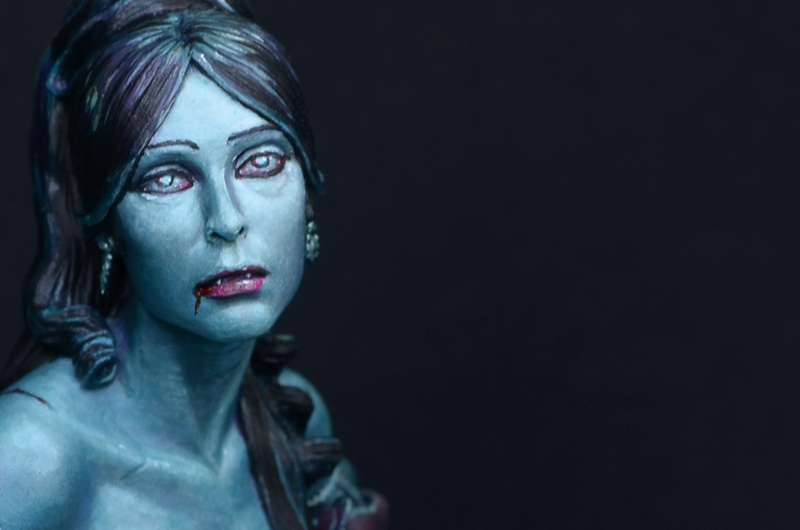 My interpretation of Fer Miniatures Lucy, the Vampire bride bust from the Gothic Horror series. I really enjoyed the size of the bust. 1/12 is so enjoyable to paint. 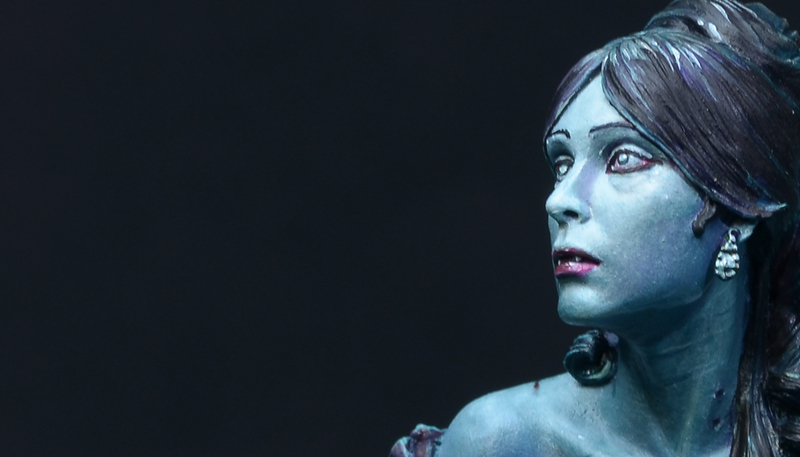 If you want to see bigger photos feel invited to visit Putty&Paint. Well I did not want her to be a young bride, I rather see her as on old vampire lady, living through all the ages, sleeping for centuries, just to awake and see how the world changes. A little drink of fresh blood here and there, but all in all a little melancholic vampire lady who is not sure if staying forever young is really the perfect solution. What if she gets bored by this neverending story? 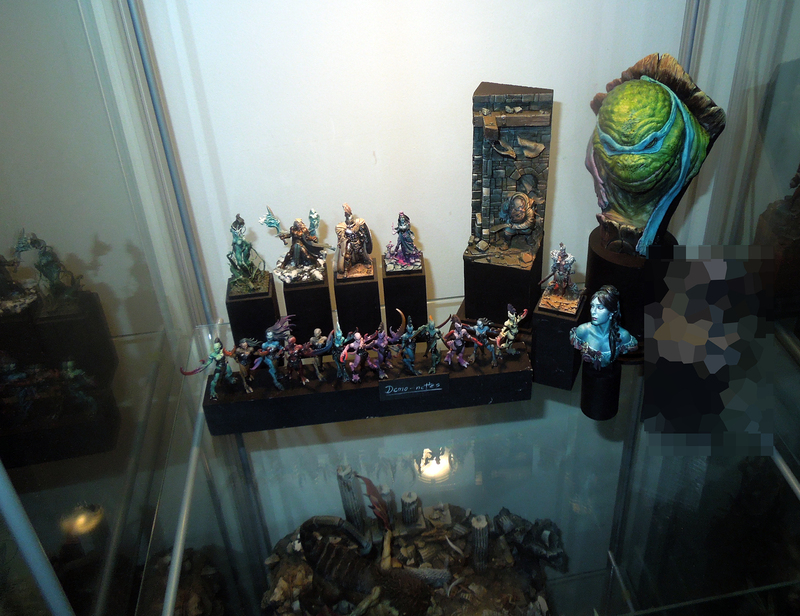 other Massive Voodoo miniature projects!